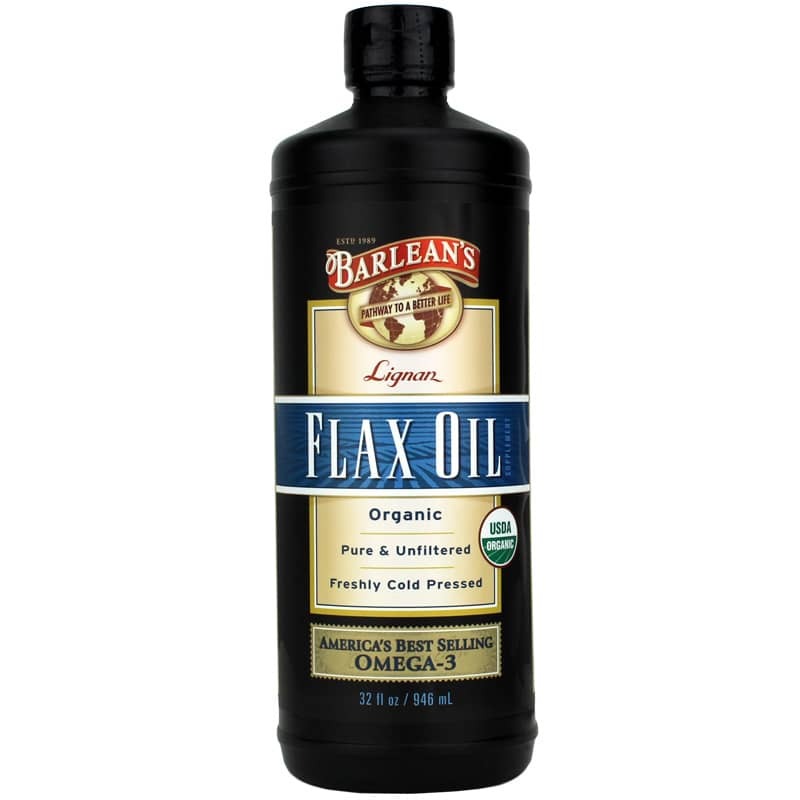 Lignan Flax Oil from Barlean's is a 100% Organic, unrefined, unfiltered flax oil supplement. Lignans are plant phytonutrients that may help support cardiovascular and hormone health. This certified organic flax oil is specially extracted by the Barlean's "Fresh ExPressed" process to preserve the lignans and Omega-3 fatty acids (specifically ALA, alpha linolenic acid) naturally present in flaxseed. Lignans are antioxidants that may act as phytoestrogens and may promote hormone balance and help reduce hot flashes and night sweats in menopausal women. Use as a dietary omega-3 supplement or nutritious addition to yogurt, salad dressings, oatmeal, cottage cheese, smoothies and more. Refrigerate for best taste. Adults: Take 1-2 tablespoons per day, straight or added to food or beverages. Adults: Take 1 to 2 tablespoons daily. Can be taken straight or mixed into salad dressings, yogurt, oatmeal, cottage cheese or blended beverages. Refrigerate for quality. Freezing will extend shelf life up to one year. I use it in place of butter after my meal has been cooked. The bottle of flax seed I received had an expiration date of two months ago. I'm well versed in expiration dates and do understand that it doesn't mean the product mean it's'!ï'!bad' but I think flax seed is different. I didn't expect to receive an outdated product from this source. The oil does have a different taste so hopefully it's not rancid.